A stranger tells Jack the story of the Ross family, and their courageous run for freedom to escape slavery. Theme: God in history; the sanctity of life. 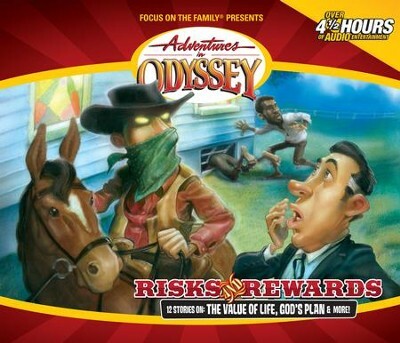 I'm the author/artist and I want to review Adventures in Odyssey® 314: The Underground Railroad, Part 1 of 3 [Download].